Shikha Malaviya considers herself a morpher, having been born in the U.K. and raised in the U.S. and India. She is founder of The (Great) Indian Poetry Project, an initiative to document, preserve and promote the legacy of modern Indian poetry. 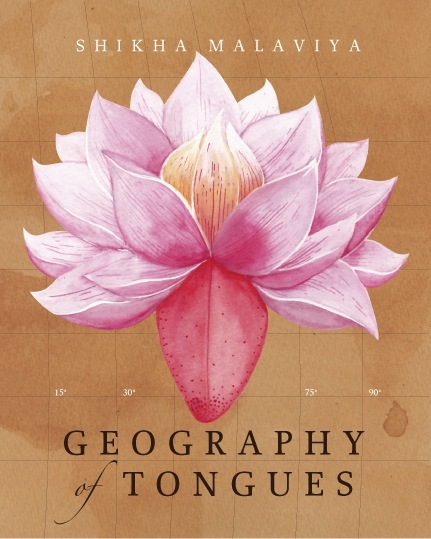 Her book of poems, Geography of Tongues, was launched in December 2013. Shikha is deeply involved in the poetry community through events/initiatives such as organizing ‘100 Thousand Poets for Change—Bangalore’ in 2012 and 2013; co-founding ‘Poetry in Public India,’ a movement to bring powerful verse by Indian women to public places across India; and giving a TEDx talk on ‘Poetry in Daily Life’ at TEDx Golf Links Park, Bangalore, 2013. Shikha’s poetry has been nominated for the Pushcart Prize. She also founded Monsoon Magazine, the first South Asian literary magazine on the web. Shikha graduated from the University of Minnesota with BA and MA degrees in creative writing, mass communications and liberal studies. Read a few poems from the collection below. Read her complete interview here. In News of the Weird, a thirty-year-old woman was hospitalized in Sunnyvale, California, this week, when her tongue froze in the process of switching accents. No word yet on which languages she was switching between. Witnesses at the scene say it was a challenging transition between talking with an ethnic shopkeeper, the woman’s child, and a friend, who all spoke in different tongues. This is the first case of what doctors refer to as ‘Lingua Gelatio,’ in the state of California, after three cases were reported in New York earlier this year. Bi-lingual and tri-lingual people are urged to exercise caution, as there is no known cure for Lingua Gelatio. The hospitalized woman is currently undergoing rehabilitation and communicates via written messages, hand gestures and grunts.